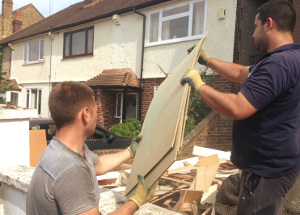 TW11 Fulwell and Hampton Hill Commercial or Home Junk Removals | RDA Cleaning & Maintenance Ltd.
Are you looking for residential and commercial rubbish removals service? Then, you need our professional rubbish removal Fulwell and Hampton Hill TW11 company by your side. RDA Cleaning & Maintenance Ltd. is the right choice! Do not hesitate and rely on us today. Contact our professional rubbish removals customer support representatives right away! Use this phone number: 020 3404 1646 to get more detailed information or to arrange your service. Note that we are available for emergency services and same-day reservations, too! Re-scheduling is possible and 100% free within a reasonable time. RDA Cleaning & Maintenance Ltd. is an experienced rubbish removals company with big potential to become a leader in market. We have been in the industry for more than a decade. This is the time we have learned to be always in time and in the service for each individual customer. Being appreciated for our qualitative job today 96% of the feedback we receive is positive. We also offer some of the lowest prices in the field. Our Fulwell and Hampton Hill TW11 rubbish collection service price includes the transportation fees, too. Too Much Junk Lay around You? You Need The Help of Expert Waste Disposal Fulwell and Hampton Hill TW11 Technicians! Eventually, storing all of the useless and old things at one place lead to the junk you cannot get rid of it easily afterwards. And the day, when you will feel buried by the rubbish seems too soon, right? Don`t let that happen to you and order the effective waste disposal services Fulwell and Hampton Hill TW11. Lean on the diligent, well-trained and educated rubbish removal technicians. Make the right and smart decision - call the commercial and residential rubbish removal Fulwell and Hampton Hill TW11 specialist at 020 3404 1646! Get rid of that junk at affordable rates and without even sweating. Our reliable rubbish removal company guarantees great final outcome and promises full satisfaction for all our clients!